RIO DE JANEIRO, Nov 24 2015 (IPS) - Different degrees of economic problems are a common denominator in South American countries where governments that identify as leftist may start to fall, in a shift that began in Argentina and could continue among its neighbours to the north. “It is not possible yet to say whether this is the end of a cycle, because the reasons for it are still very present…but there is a very complex crisis affecting the governments that I call ‘distributionist’, which are facing difficulties, especially in Brazil, Argentina and Venezuela,” Professor Tullo Vigevani of the São Paulo State University told IPS. “Left” is a concept that has lost validity, he added, preferring to talk about populist governments, stressing the ones along South America’s Atlantic coast. “The ones along the Pacific coast are more modern,” he said. Argentina is experiencing “the end of a cycle in a completely normal democratic manner, which should be celebrated,” after 12 years of presidency by the Kirchners, he said, referring to the consecutive terms of the late Néstor Kirchner (2003-2007) and his widow and successor Cristina Fernández, who steps down on Dec. 10. Both belonged to the Justicialista – Peronist – party. “But any non-Peronist government will face great difficulties in that country,” Azambuja warned. Neither of the last two non-Peronist presidents, Raúl Alfonsín (1983-1989) and Fernando de la Rua (1999-2001), managed to serve out their full terms; they were both forced to resign. That will be a challenge for Mauricio Macri, mayor of Buenos Aires since 2007, who won the elections for president in the Nov. 22 runoff, representing the centre-right opposition Cambiemos (Let’s Change) coalition, made up of his conservative Republican Proposal (PRO) party and the traditional Radical Civic Union (UCR). Helping him win the elections were the division of the Justicialista Party, on the political front, and the economic crisis. But now he will have to deal with the country’s economic woes. The problems include stagnation and the subsequent high unemployment, high inflation – close to 30 percent, say analysts, but only half that according to the authorities – dwindling foreign reserves, and a black market where the dollar is worth nearly 50 percent more than the official exchange rate. There are also distortions, such as protectionist measures in some sectors, export duties on agricultural products, and subsidies that affect national production and trade with Brazil, whose main market for industrial exports used to be Argentina. 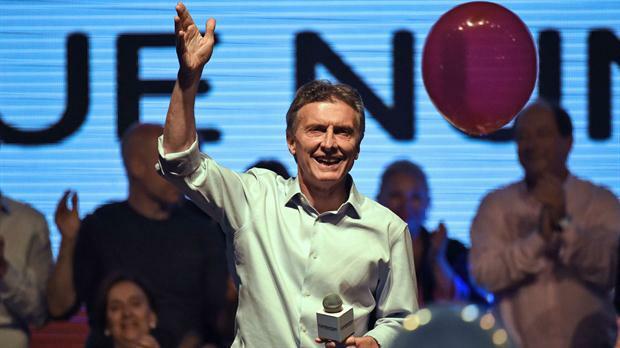 The economic changes promised by Macri, such as the removal of currency controls and restrictions on foreign trade, will affect relations with Argentina’s neighbours. But it is his foreign policy that could drastically modify things in the region. He wants, for example, to exclude Venezuela from the Southern Common Market (Mercosur) as long as the current government there remains in power, by citing the bloc’s democratic clause, which already led to the suspension of Paraguay’s membership for over a year, due to the impeachment and removal of former president Fernando Lugo in 2012. A return to warmer ties with the United States, trade accords with the European Union and Pacific rim blocs, and greater openness to trade in general form part of Macri’s plans, in contrast to the protectionist tendencies of governments described as leftist, populist, “distributionist” or Bolivarian, depending on the vocabularies used by different ideological currents. But regional organisations like Mercosur, the Union of South American Nations (UNASUR) and the Community of Latin American and Caribbbean States (CELAC) will not fall into crisis as a result of the political changes in the region, according to Vigevani. These kinds of organisations are slow to react, which “has adequately served a few limited objectives,” he said. The change in Argentina and the crises in Brazil and Venezuela, which have political as well as economic aspects, point to a probable wave of right-leaning, neoliberal governments in Latin America, that put a higher priority on the economy than on the social policies of their predecessors. The situations are different. In Venezuela, where the economy is virtually in a state of collapse, “my fear is that the dying Chavismo will come to an undemocratic end, given the fragile position of President Nicolás Maduro, while in Brazil the change will surely be democratic,” Azambuja predicted in his conversation with IPS. In those three countries along the Atlantic coast of South America governments “did not adequately administer economic policy, leading to low levels of investment, low savings rates, and scarce technological training, and failed to develop policies to expand, rather than reduce, consensus. Thus, the capacity to prevent neoliberal advances was decisively reduced,” said Vigevani. Brazil has been suffering from an economic recession since late 2014, aggravated by nearly 10 percent annual inflation and a fiscal deficit that scares off investors. To all of this was added a corruption scandal involving the state oil giant Petrobras as well as all of the country’s major construction companies and around 50 politicians. In addition, the campaign that led to the reelection of left-leaning President Dilma Rousseff in October 2014 was marked by an unprecedented degree of violence, with clashes and accusations that destroyed the chances of dialogue and negotiation. As a result, the contradictions between the government’s election promises and its actual practices became so obvious that they undermined the legitimacy and popularity of the president, who had the approval of less than 10 percent of the population according to the latest polls, and is facing the threat of impeachment. The political bickering has made it impossible to cobble together a stable majority in Congress, which has stood in the way of a fiscal adjustment programme that requires legislative approval of public spending cuts and a rise in taxes. The economic crisis, blamed by the government on an adverse international environment and by the opposition on mistakes by the government, thus drags on. “Distributionism without a capacity for investment, innovation and adjustment of the productive system is not sufficient, although it is necessary,” he said. Underestimating or poorly managing economic questions would seem to be the Achilles’ heel of governments seen as leftist or populist in Latin America. That curse has not affected leaders who, even though they are distributionist or “Bolivarian”, adopted orthodox economic policies, such as Evo Morales, in power in Bolivia since 2006, or Rafael Correa, who has governed Ecuador since 2007. At the same time, it does not seem to be possible for new or future leaders, even right-leaning ones, to eliminate or even reduce social programmes that “populist” governments have used to pull millions of families out of poverty. Macri has already announced that he will keep them in place. Everything would seem to indicate that these programmes are now a new dimension incorporated into regional politics, while poverty and social inequality remain unacceptably high in a majority of the countries in Latin America which, despite these “inclusion policies,” remains the world’s most unequal region.